09/07/17 — Please see updated flyer with change of venue. We are still in need of sponsors and attendees. Please consider attending this fabulous event, and supporting Texas EquuSearch. 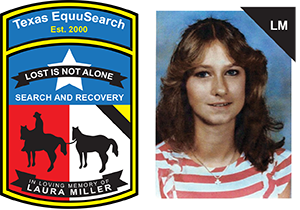 All funds raised go directly to Texas EquuSearch. 07/06/17 — As you may already know BBCSO, Inc. is a grass roots service organization which is based out of Katy, Texas. The members of BBCSO, Inc. work tirelessly to raise much needed funds, and awareness of a variety of child focused issues. We are a non-salaried and all volunteer service organization. All proceeds raised from our various charity events will go directly to our charity of the year. The board of directors votes to selects a different cause annually as our “Charity of the Year”. 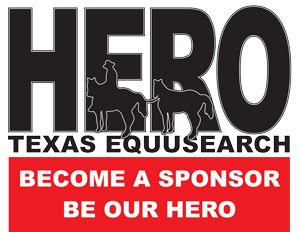 This year’s Gala will be the fourth event for Texas EquuSearch. This year the issue of child abduction seems to have spoken loud and clear. The current “2016” National Average of Reported Child Abductions are at a staggering 465,676. 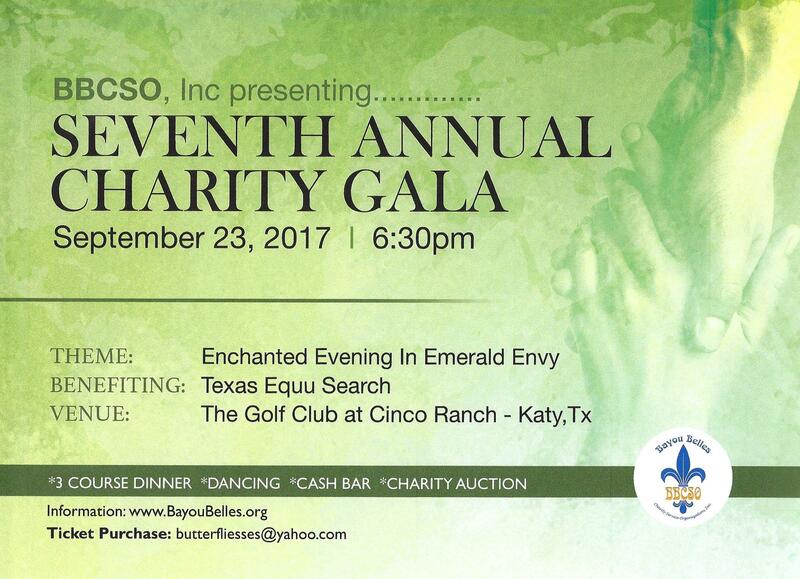 May we make the humble request that you please consider supporting our Seventh Annual Charity Gala benefiting Texas EquuSearch the missing children search and rescue team, which is scheduled for September 23, 2017 at Faith West Academy – Katy, Texas? For a downloadable packet, click here.